Branding. Communications. Digital Marketing. Psychology applied to your Business. keeping stress and anxiety at bay and feeling balanced instead of overwhelmed. Send me an email! 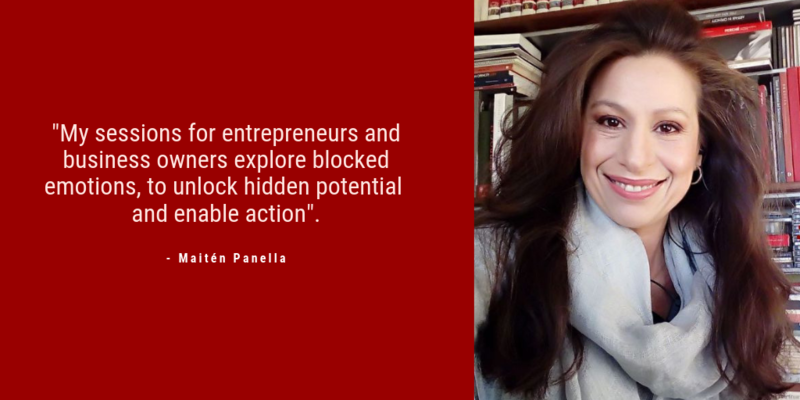 contact@maitenpanella.com or book a free 15-minute chat! This call is free – we get to know each other and I can get a general feeling of your business’ needs. This option includes a follow-up email with my proposed plan of action. Sessions can be held in English, Italian or Spanish. Ready to dive into the work? Please feel free to email me all your questions! Ready for a free 15-minute chat? Why can Self-Management improve your business effectively?